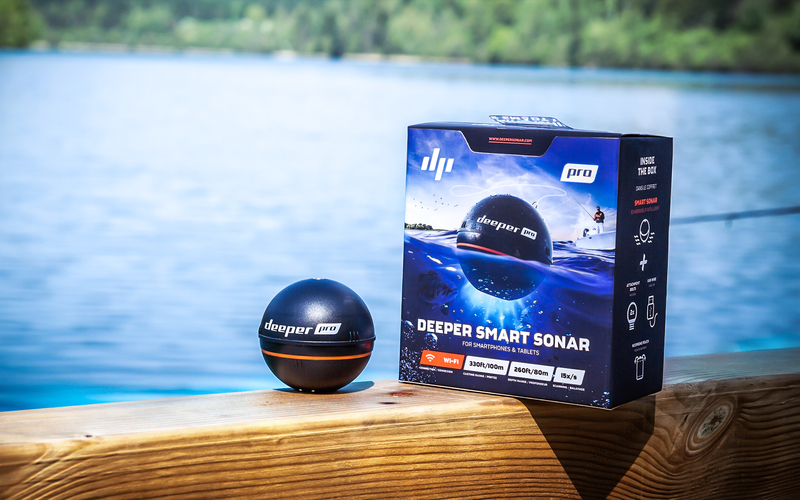 Ideal for anyone getting serious about smart sonar fishing, the Deeper Smart Sonar Pro transmits incredibly detailed data and has a huge operating range, all thanks to its inbuilt wifi. The Deeper Smart Sonar Pro takes smart sonar fishing to the next level. Its inbuilt wifi gives it incredible data transmission power. And it needs it, because, thanks to its higher scanning frequency and resolution, the Smart Sonar Pro gathers a lot of data. Using a wifi connection also significantly boosts its range (100m / 330 ft), whilst its advanced sonar technology gives a scanning depth of 80m / 260ft. And using wifi guarantees rock solid connectivity, no matter what the conditions are. These advanced features make the Deeper Smart Sonar Pro the right choice for serious anglers ready to massively up their game.